Singapore, January 11, 2016 – Clariant, a world leader in specialty chemicals, announced today that its production site located in Tangerang, Indonesia under the business unit of Industrial & Consumer Specialties (ICS) has received the Halal certification in Indonesia. With the certification, Clariant’s products will be granted better access to Muslim consumers located in countries such as Indonesia and Malaysia in Southeast Asia. Object with the Halal certification is permissible to use according to Islamic law. Halal awareness has evolved from being concerned with meat-based products a decade ago to encompass food, drink and daily necessities such as personal care products today. In countries such as Indonesia and Malaysia, where there is a large and growing Muslim population, much of the cosmetics and home care industries is shifting the source of raw materials to those that are vegetable based or even aiming for Halal-certified ingredients which are perceived as safer and milder. The total market size for Halal personal care ingredients in Southeast Asia is estimated at around CHF74 million in 2015, with room for 20% growth in the coming years. This represents a major growth and differentiation opportunity for cosmetic and personal care companies operating in the region. Clariant’s Tangerang site’s Halal certification taps well into this emerging demand. “The Halal certification given to our Tangerang site is an important achievement and milestone for our business unit to further reach out to our customers in the Southeast Asia and Pacific region. It also reinforces Clariant’s commitment to offering products and services that differentiate ourselves through sustainability,” said Vipul Bhatt, Head of Sales and Application Personal Care and Home Care ASEAN, Industrial & Consumer Specialties Business Unit. As a leading supplier of specialty chemicals for the personal care industry in Southeast Asia, the well-established Tangerang site has undergone a capacity expansion in 2014. In addition, a new application development lab was established to enhance product development capability and to better support customer application services. 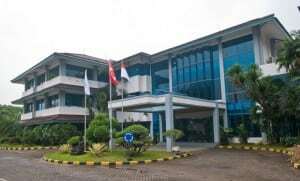 The Tangerang site also had been awarded the ISO 22716 Cosmetics Good Manufacturing Practice (GMP) certification in 2013, which ensures the deliverance of highest quality products and production standards for fulfillment of EU guidelines for cosmetics production.